OCEAN CITY – A $99,000 contribution to the Ocean City Fire Department will allow paramedics to improve their skills using new training equipment. 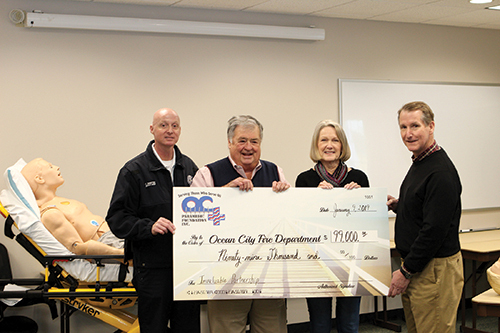 This month, the Ocean City Fire Department (OCFD) received a $99,000 grant from the Ocean City Paramedic Foundation to purchase equipment and attend training courses. Officials with the OCFD said the foundation contributed $36,000 toward the purchase of the Gaumard Scientific Advanced Patient Simulator (HAL), a $76,000 device that will allow the department to provide realistic simulation training. In addition to HAL, the foundation’s contribution of $33,000 enabled the department to purchase three mechanical chest compression systems – called LUCAS III – which can be used on adult cardiac arrest patients. The remainder of the grant will be used for personnel training, including the EMS Today Conference, the Fire Department Training Network, and an Advanced Airway Anatomy course. “The Paramedic Foundation’s donation not only gives us state-of-the-art equipment to train with, but it allows us to attend national training courses to assure we’re the most prepared to do our jobs,” Peterson added. Since 1980, the Ocean City Paramedic Foundation has supplied supplemental funding to Ocean City paramedics for the furthering of their education and the purchase of equipment that may not have been provided for in the annual budget. According to its website, the foundation has contributed more than $800,000 to this effort. Nancy Howard, board secretary for the Ocean City Paramedic Foundation, said requests are vetted by members of the nonprofit each year. She said this year’s contribution will allow paramedics to hone their skills. Howard added the new devices and training courses will ultimately benefit the town’s residents and visitors. The Ocean City Paramedic Foundation, a nonprofit, non-stock, charitable corporation, was formed in 1980 after a small committee conducted a successful fundraising effort on behalf of the Holly Center in Salisbury. After realizing the group’s potential, and the need to support local paramedics, members spent the next 18 years hosting “The Ocean City Character of the Year Party,” the foundation’s main source of income. According to the foundation’s website, Past President Albert Krebs was instrumental in forming the perpetual fund, which receives 50 percent of fundraising activities and the other 50 percent being made available for immediate use. The interest from the perpetual fund can also be used when requested by EMS. 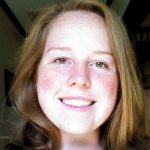 Along with the recent donation, the Ocean City Paramedic Foundation’s Robert T. Adkins Memorial Scholarship provides financial assistance for educational purposes to those wishing to enter the field of Emergency Medical Services. To learn more, visit: https://ocpf.org/ocean-city-paramedics-scholarship/.